The Kiwi Backstage Pass is a combo ticket combining the All Day 24 Hour Unlimited Pass with a Kiwi Backstage Pass Tour. 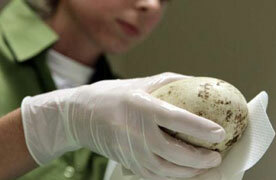 This is a fully guided tour with one of our Kiwi Rangers through the incubation and rearing facility where you will learn about the history and successes of the Operation Nest Egg program. The West Coast Wildlife Centre is one of the largest Kiwi Captive Rearing facilities in New Zealand and is helping save the critically endangered rowi and Haast tokoeka kiwi from extinction. Chicks will be available to view on the Backstage Pass Tour from October to March (subject to change and breeding season). Outside of the natural kiwi breeding season, Backstage Pass tours will include guided live kiwi spotting in the Nocturnal House. Places are limited to 8 people per tour so book ahead to avoid disappointment. Children must be accompanied by an adult. All tickets booked are non-refundable. Kiwi Backstage Tours depart at 11am, 12:30pm, 2:30pm and 4pm every day of the year! The Tuatara Backstage Pass is a combo ticket combining the All Day 24 Hour Unlimited Pass with a Backstage Pass Tour. This is a fully guided tour with one of our Kiwi Rangers through the Tuatara facility where you will learn about the history of Tuatara and how they roamed our planet 220 million years ago and why they are so signiﬁcant to New Zealanders.Here you can take a photo with a Tuatara. Places are limited to so book ahead to avoid disappointment. Children must be accompanied by an adult. 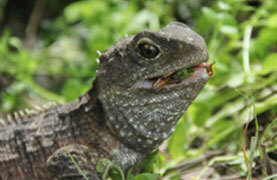 Tuatara Backstage Tours depart at 10:00am, 12:00pm, 3:00pm and 4:30pm every day of the year!